Care: Wash by hand in the direction of the wood fibers using a sponge and dishwash liquid. For a golden finish, treat with a food grade oil - e. g. salad oil. EASY spatulas is the natural choice and delicious alternative to silicone spatulas. The hardy white oak ensures a long life, while they will not scratch your pans. 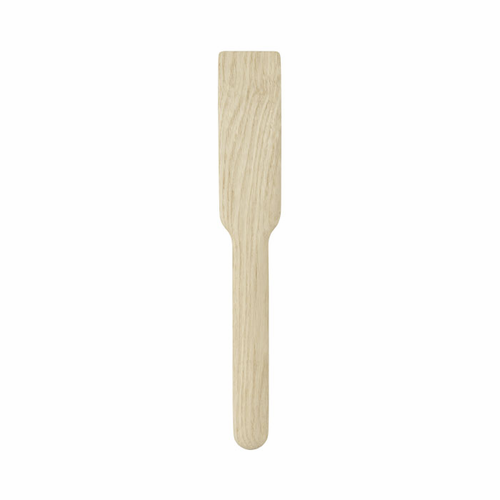 Easy spatulas elegant forms provide good control during the preparation of food in the pan. The broad spatula makes it easy to flip pancakes, fish and fried egg or serve a piece of pizza, while the narrow spatulas provide a good grip when you need to make scrambled eggs and omelets.